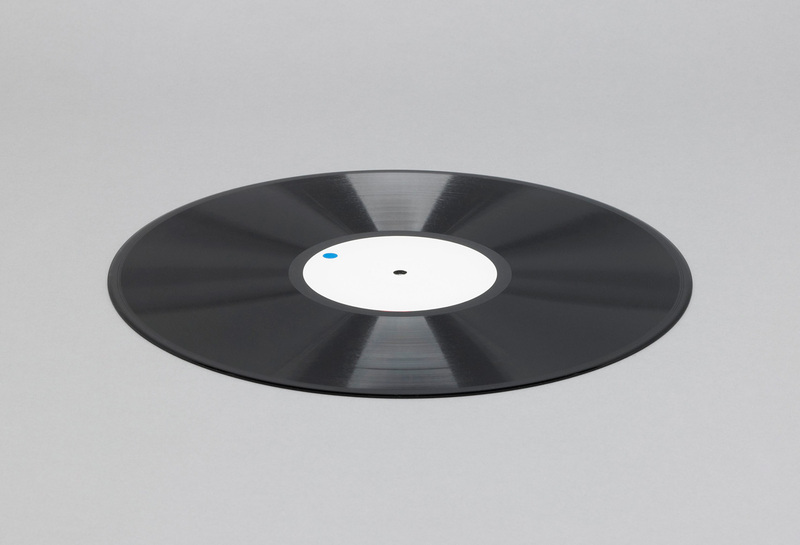 The recording translates the length of its vinyl groove into audio allowing listeners to experience the 1/4 mile length of the spiral as the record is played. Every inch of the needle’s path is audible in the form of a click, each foot as a beat and distances of 10 feet are heard as a blip. These sounds gradually slow as the stylus approaches the center, (the stylus travels less distance in the groove with each revolution of the record). Along the way, the voice of the narrator mentions the horizontal dimensions of particular objects.